Nowadays there are a lot more people with intercom systems for both homes and businesses. Whether it’s for security or convenience, the intercom system has become a vital part of properties, especially larger homes and commercial buildings. There are options to consider including the wireless or conventional wired systems, but regardless of the type they’ll provide the same benefits to homeowners. 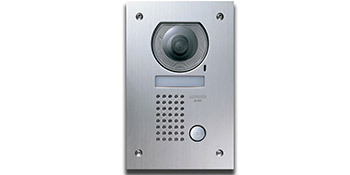 With a home intercom you’ll instantly be able to check who’s at your home before letting them in. This has its use for all properties, from flats to large offices and commercial buildings. There are also systems available which allow you to see the person on a small screen. The added protection is crucial to the security of your home. At certain times it could be necessary for you to keep an eye on part of your home or business. For example, you might want to see small children during the day when you’re working in the kitchen. It’s harder to monitor areas in larger homes and businesses, making intercoms a crucial part of buildings. Home intercoms are great for large homes and businesses, adding greater security and giving people a chance to communicate quickly and easily over large distances. For up to four FREE quotes from vetted and reputable installers in your area, just complete the quick form below. Project: Cost of installation of something like Bellini wired door entry system to 10 flats over 2 to 3 levels. Cost with and without door release. Project: repair /replace faulty intercom system. external buzzer not working. internal handsets x 2 working. quote required please. Project: Replacing the intercom system for a house with 9 flats. Project: Install and set up SANNCE smart system, four cameras, DVR and IT Equipment. Quotatis were quick to contact a company who were able to improve our door entry system. Eric Bryant from TELETEK contacted me very quickly and knew how to resolve the problem of the door entry system immediately.